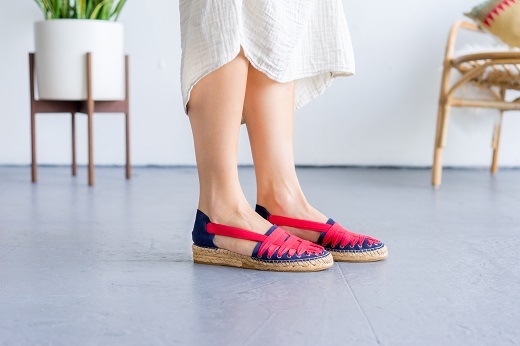 The Classic Dali is our closest espadrille to the beloved design of the original style. Providing a thicker sole than the Classic Low, the Dali in Blue features a leather toe and heel with red cotton ribbon detailing. 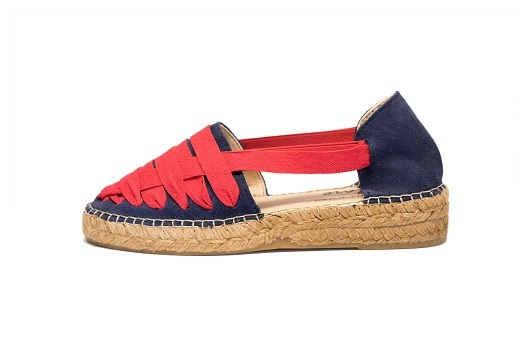 Red elastic straps provide the versatility to slip them on in a hurry and still look chic. 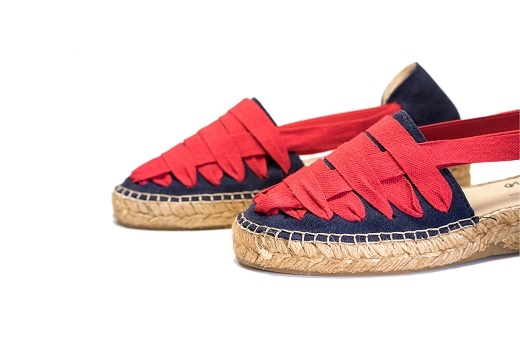 Handmade in Spain, this Laro espadrille is made with high quality leather, a traditional braided jute sole with a vulcanized rubber bottom sole.